Schedule subject to change. 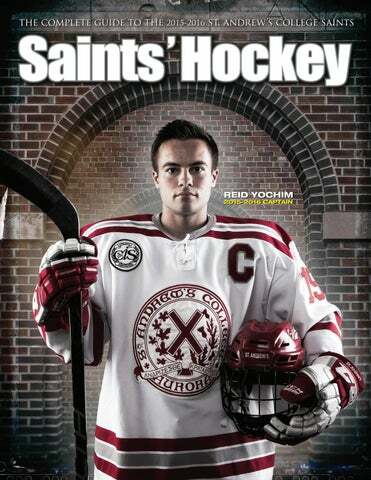 Please check the website - www.sachockey.ca closer to game day for up-to-date information. 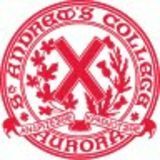 Curriculum St. Andrew’s College (SAC) offers an innovative and challenging academic atmosphere. We understand that boys learn differently, that’s why our faculty alternate instructional strategies every 15 minutes to keep boys engaged. Through Advanced Placement (AP) and 60 elective course offerings, our boys discover their true passions. Our completely wireless campus supports all students from grades 5-12 on their Fujitsu T935 convertible tablet computers. Students conduct and submit their coursework online. McEwen Leadership; Enriched & Extended French; Engineering & Robotics; AP Capstone; Broadcast Journalism; CIS eLearning Consortium; Math, Science and Geography competitions; Public Speaking and Debating; Arts; Residential Life Curriculum. 40 hours of community service required. We have a 100% university placement rate with each student receiving an average of five acceptances annually. Our graduating class is regularly awarded more than $1 million in scholarships and bursaries from many of the most sought after universities in the world. The 124 members of the Class of 2015 received 552 offers of admission, 61 outside Ontario, 35 U.S., and 28 international.